More fun adventure activity than you can imagine. Private group, family friendly, team building, NGO volunteer break-day activity. Perfect for volunteer groups and NGO workers who want to schedule a day off, or to plan a team building activity for their staff. Our exclusive Adventure Center has all you need to enjoy a fun day. Please include which activity or tour you're interested in. Adventure activity will begin at our Adventure Center in Santa Cruz. Your professional guide will size you up for the proper kayak and PFD gear. We have children’s single kayaks and large double and triple seater kayaks especially for families. Our expedition kayaks are available for experienced paddlers. Stand up paddleboard options are available. We return to our Adventure Center for some fun game time. 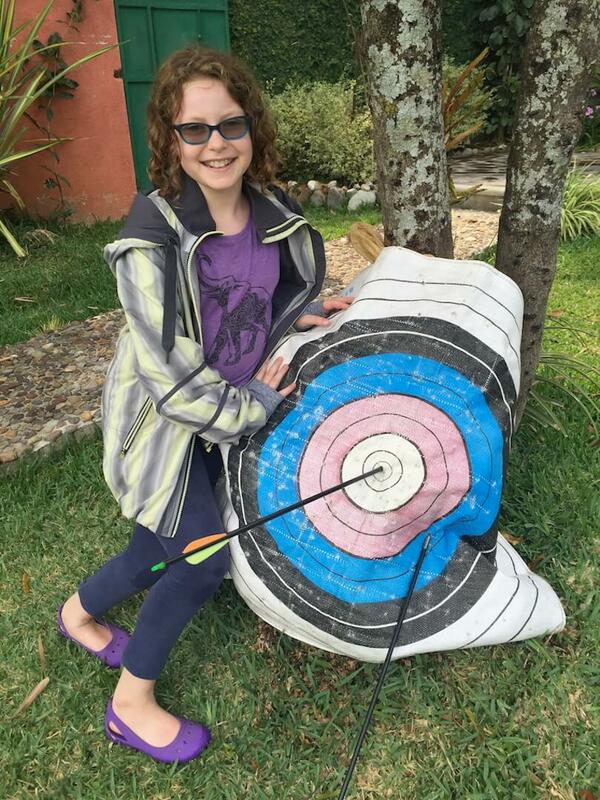 We have a kids archery range where the children can try their hand with the bows and arrows. Explore 25 reasons why Archery is a good hobby for kids at Target Crazy. We have shaded cabanas with hammocks if the parents want to relax while the kids play. Schedule a massage at our Day Spa (for an additional fee). 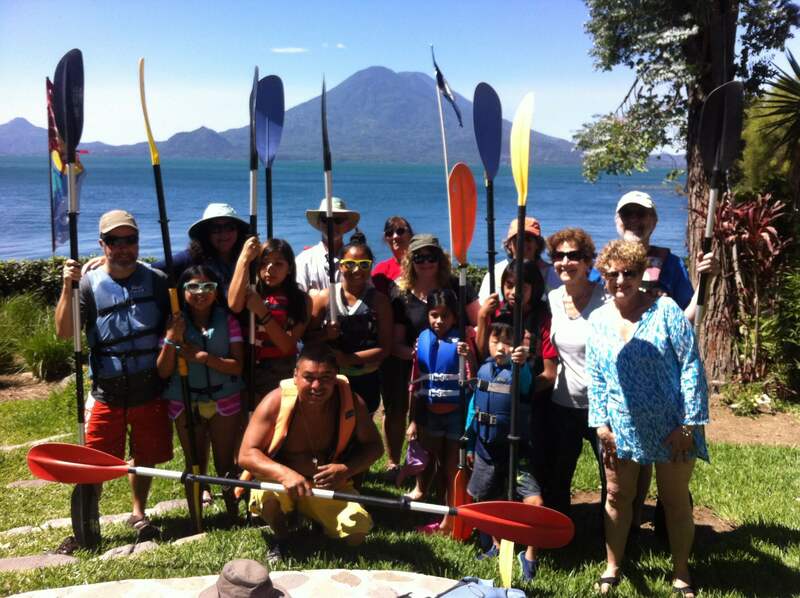 An easy paddle for families that provides breath-taking views of the area. About 3 hours total activity time. $45.00 per person. Add $25 if you want the paddleboard option. Lunch can be scheduled in advance for $8 per person, or drop into the Hotel Isla Verde’s Slow Food Cafe (just next door). While in Santa Cruz, we highly recommend visiting our non-profit center, Amigos de Santa Cruz. Visit our vocational training center and learn about our programs to help the youth of Santa Cruz get a better education. Our Award winning student run Cafe Sabor Cruzeno is the highest rated restaurant in the area. Open for breakfast and lunch, and a great addition to the day.